The astonishing landscape of the Valley of the Kings with its sand dunes that stretch almost to the waters-edge of the Nile opposite Luxor to the high mountains is matched only by the treasures the area has hidden for centuries, and may still even hide. Many tombs have been discovered, such as those of Tut Ankh Amon (Tutankhamun), Ramses I, Ramses II, Ramses III and Ramses VI, Amenhotep II, Seti I, Sipteh, Thutmose III andHoremheb, and their treasures displayed in museums such as the Egyptian Museum in Cairo or in the Luxor Museum, but you can’t help but wonder what other fascinating riches are hidden underground just waiting to be discovered. Over 60 tombs and chambers are known to be in the valley, but as excavations continue and more tombs are found it is believed there could be many more. Of course, the pharaohs who chose the site as their graveyard and had astonishing tombs built way underground thought the strategy would stop robbers from removing the priceless treasures that were buried with them when they died. They believed in the afterlife and by burying their possessions with them they would everything they needed, materially, when they entered their new life. Sadly, most of the tombs were robbed over time, with only a few having been discovered intact. The most notable of these is the tomb of Tutankhamun. The Valley of the Kings dates back to around the 16th to the 11th centuries BC as a necropolis of the Pharaonic Egypt’s New Kingdom dynasties. It is believed to have been used for around 500 years, and is the resting place of the kings and other nobles of the 18th through to the 21st dynasties. In 1979 it was made a World Heritage Site and remains one of the most important and famous archaeological sites in the world. If visiting the Valley of the Kings from Luxor you will cross the bridge over the Nile and pass by the villages of New and Old Gurna (Qurna), which gives a fascinating glimpse into how local residents have lived and farmed their land for centuries. Old Gurna, particularly, has a collection of brightly painted mud houses that have stood for years. Some are today used as alabaster factories. The Valley of the Kings, itself, though is intriguing. Following the remote road through the valley (wadi) to the entrance you will past barren sand dunes and hills. You then reach an interesting information centre from where you can hop on a small train provided for visitors that eases the sun-scorched walk to the first of the tombs enormously, and then you are at the heart of the valley. It is here that most of the more significant tombs are located. To the right is the tomb of Tutankhamun, numbered KV62, and almost everyone who visits the valley will wish to enter the boy pharaoh’s last resting place. The tomb was discovered in November 1922 by British archaeologist Howard Carter, who spent days, months, years in his search for the tomb. Carter’s small domed house where he lived during this time can still be seen as you journey to the valley. When Carter found steps leading to the tomb and then an antechamber full of gold and ivory treasures it caused worldwide excitement. 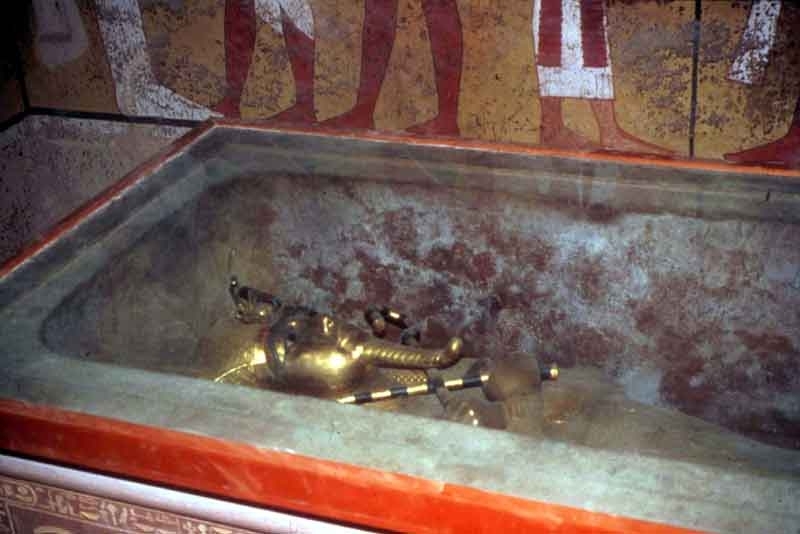 He then went on to find a sealed door which, when opened, contained the outer sarcophagus of Tutankhamun. He was buried in coffins one inside the other. Some were solid gold, others wood with gold. The treasures are now contained in the Egyptian Museum in Cairo, and include the sarcophaguses, jewellery, smaller sarcophaguses for his organs that would have been removed during the mummification process and the iconic gold death mask that is the image of ancient Egypt. 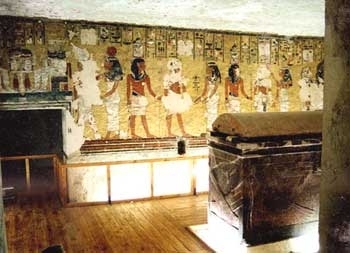 The tomb, itself, is quite small and ndecorated, but the tombs of other pharaohs, like Ramses I and Ramses III, for example, are highly decorated and colourful. These lie to the left of Tutankhamun’s tomb. You enter by stairways that lead down past extraordinary wall paintings and hieroglyphics. The colours yellow, orange and red feature strongly, and are so bright it is hard to imagine that they were drawn so many centuries ago. inside. It is sometimes known as Bruce’s Tomb too, after the man, James Bruce, who discovered it. 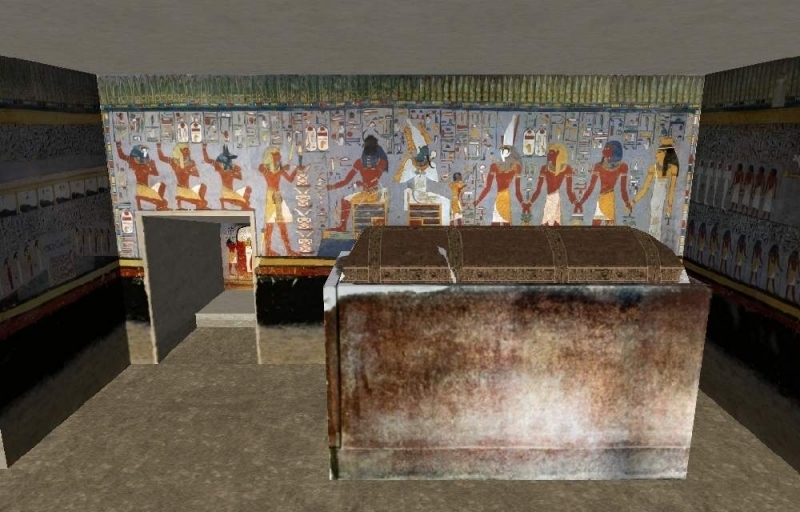 Another tomb, that of the Pharaoh Akhenre Setepenre Siptah (KV47) of the 19th dynasty, is one of the longest in the Valley of the Kings, however his mummy was oddly discovered in the tomb of Amenhotep II (KV35) in 1898. 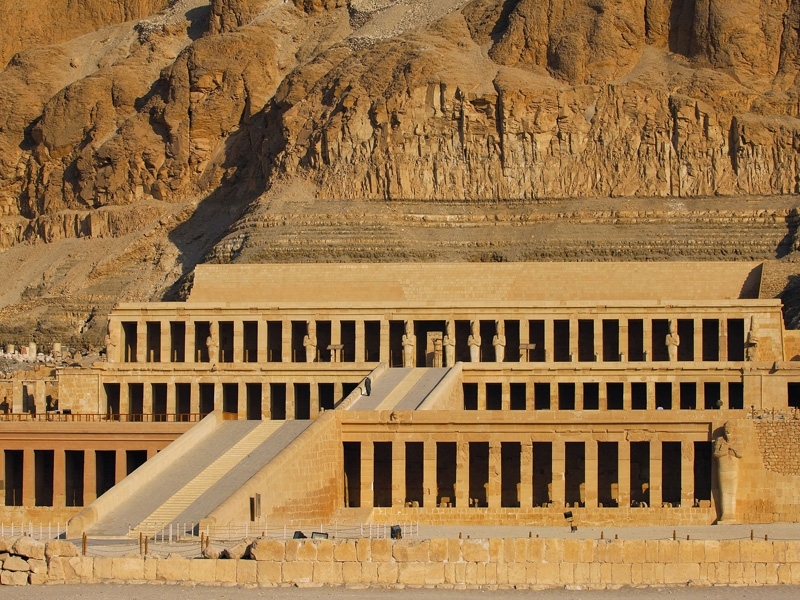 A visit to the Valley of the Kings is an absolute must on any agenda, and the fact that it is so easily accessible from Luxor city centre where there is a good choice of hotel accommodation makes a family excursion straightforward. Tickets include visits to many tombs, although King Tutankhamun’s is extra. 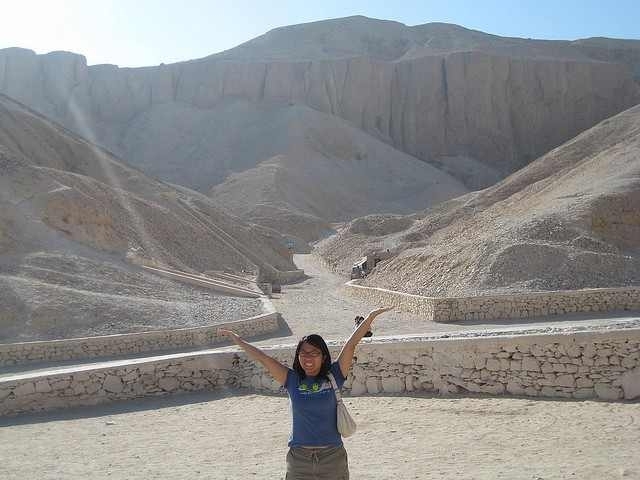 Many guided tours include a visit to the nearby Valley of the Queens too, and perhaps even the Valley of the Nobles, which lies just to the south of the Valley of the Kings and contains hundreds of tombs of high officials of the day. Nearby, too, is Deir El-Madina, where there are the tombs of artisans and workmen who worked on the kings’ tombs. It dates from the Ptolemic era.